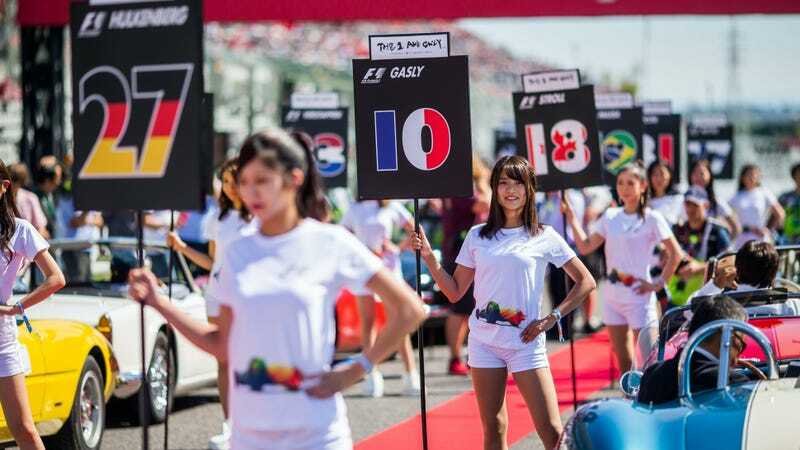 Something has been blatantly missing from much of the public debate as to whether Formula One should get rid of grid girls: womens’ opinions. We’ve heard from a number of male drivers and team heads, who all seem to trot out the same tired arguments about how it’s a tradition, they don’t see the harm and they enjoy it. Autoweek had more of them today, and once again, no one seemed to ring up Claire Williams. Ferrari president Sergio Marchionne joined the fray this week by supporting the idea of grid girls, and now his Italian colleague and Ferrari F1 team principal Maurzio Arrivabene agrees. Ross Brawn is F1's managing director of motorsports whose comments that they may drop the use of grid girls set off this whole debate. Of course, it’s entirely F1's business to make sure the sport is welcoming to the wider audience, which is where this debate fits in. Arrivabene’s statement is an odd one considering that he has more important things to concern himself with than this as well, like building a reliable car and not losing to Mercedes (again). I just cannot imagine that. In America, cheerleaders appear before, during and after every game, so I see no reason why this should not be done in Formula 1. I think we have other worries. Oh boy. I hate the comparison to cheerleaders that inevitably comes up in this debate. While cheerleading has its own set of issues about image, treatment and low pay at the pro level, it’s also a sport in its own right—and one usually open to both genders. Comparing women who mostly stand in one place to a set of precision-choreographed dancers and tumblers is about as apples to oranges as it gets. Worse yet, it implies that cheerleaders exist only for objectification, which isn’t the point of cheer, either. Yeah, no. Moving on from the weird tradition of using women only as decor doesn’t preclude anyone from working on a team, having a grid pass as a fan, driving or doing any number of activities on the grid. Hell, F1 might even pick up more female fans and participants if they drop the boy’s club veneer. These disappointingly simplistic takes from men who are smarter than this speaks to the bigger problem: F1 is a bit of an echo chamber. Of course men who are surrounded primarily by other men see no issue here. The practice of using pretty ladies as decor fundamentally doesn’t affect how anyone treats these men at the track, as it establishes that racing is a straight manly-man activity by default. That’s them! As a result, no one really questions their credentials or motivations for being there merely because of their gender. But it’s frustrating to hear none of them considering why it’s mostly men in F1's upper echelons. Women in motorsport all too often get treated differently because of the perception that this is not for them, which is reinforced by having girls stand around as decor. Even though there’s less pressure for women to fit into certain occupations and interests now, the remnants of the old boys’ club in racing are alive and well. Some research even suggests that a woman’s atmosphere can effect how women are treated. One study cited by Psychology Today noted that even modestly dressed women can be seen as less competent and intelligent by men who view sexualized imagery of women right before. In other words, those galleries of “paddock beauties” really don’t help. This isn’t to say that mens’ opinions on the matter are worthless—rather, it’s obvious that they don’t have as much at stake in issues like this as their female counterparts. So, why aren’t we taking womens’ thoughts on the matter more seriously and giving them more airtime?